This year the Tampa Bay Lightning have carved their way to the Eastern Conference Finals with victories over both The Detroit Red Wings in game 6, and the Montreal Canadians in game 7. Now the Tampa Bay Lightning, after facing off against the Rangers at Madison Square Garden in games 1 and 2, have come back down south to compete at the Tampa Bay’s very own Amalie Arena for games 3 and 4. The historic Amalie Arena has hosted fans from all over the nation this playoff season with its seating capacity reaching over 19,000 seats, making it the 7th largest arena in the nation. The Amalie Arena has also been ranked as one of the NHL’s top 10 best arenas’ in the nation, not only for its huge seating capacity and beautiful architecture but also for its consistent search to become a more sustainable facility by partnering with organizations like NHL Green, Filta, and the Green Sports Alliance. Filta, known as the world’s first environmentally friendly Mobile Fryer and Cooking Oil Management Company has plenty of experience in helping both professional sports leagues and the environment. Filta manages cooking oil, fryers and coolers in the kitchens, restaurants and concessions stands of stadiums and arenas around the country. Amalie Arena is one of over 170 sports venues serviced by Filta and it is also home to the Tampa Bay Lighting. By using Filta’s micro-filtration service, Amalie Arena uses drastically less cooking oil and recycles it into Biodiesel at the end of its useful life, thus reducing their carbon foot print by leaps and bounds. 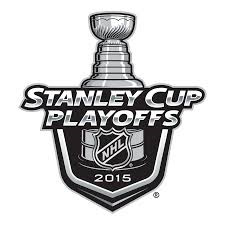 So as Tampa Bay Lightning face off against the New York Rangers in this year’s Eastern Conference Finals in Tampa, it is safe to say they will be the greenest games of the 2015 NHL Playoffs. It has been awe striking to see the efforts of both the arenas and the NHL in their efforts to help preserve our environment through implementing sustainable practices at more of their facilities every year. The Nation Hockey League launched what they call “NHL Green” in 2010 and in just 5 short years have been named No. 17 on the U.S. Environmental Protection Agency's (EPA) National Top 100 list of the largest users of green practices, making it the first professional sports league ever to achieve this distinction. In regards to this great accomplishment, NHL commissioner Gary Bettman was quoted saying, "We are proud to be recognized for our efforts as we continue our mission to protect our environment and preserve the roots of our game,”. Beyond helping the NHL to receive this great accolade through their environmentally friendly practices, the Tamps Bay Lightning with the help of Filta has also become a committed member to the Green Sports Alliance. The Tampa Bay Lightning and Amalie Arena are one of the 12 teams partnering not only with NHL Green, but also with the Green Sports Alliance. As a die-hard sports fan Rob Totten, Filta’s Sustainability Director, has been known for his dedication to the acknowledgment of environmentally friendly success through green practices of teams across all leagues throughout the season with a particular emphasis of those who advance to their sports playoffs; everyone from Filta’s headquarters has come together to pull for a Tampa Bay win in hopes to seeing this year’s Stanley Cup be the greenest Championship ever. For more information on Filta and how they are helping to preserve the environment with their services, you can visit http://www.gofilta.com/ or call their offices at 1-866-51-Filta.